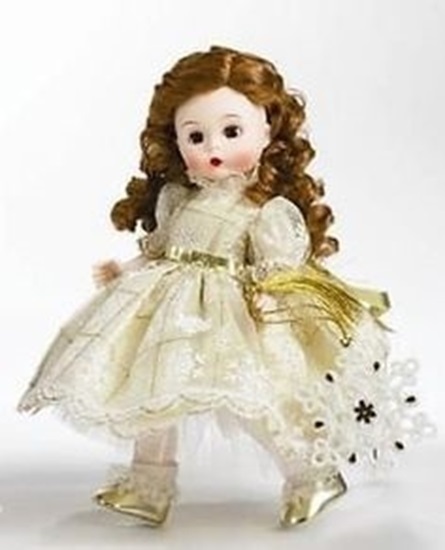 Falling Snowflakes is an 8" retired doll from Madame Alexander's collection. She comes with a special Lenox Snowflake ornament. Falling Snowflake is wearing a beautiful pale fold dress with a sheer organza golden overlay of snowflakes. Her dress is trimmed with gold lame ribbon and gorgeous lace with golden threads. To complete her holiday look, she has ivory socks with golden threads and gold shoes.